My educational background is a Bachelor’s Degree in Exercise Physiology and a Minor in Nutrition from the University of Wisconsin – La Crosse. 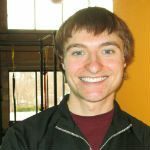 My experience is seven years of personal training in multiple settings ranging from on campus to membership gym to now private personal training gym. I have worked with people in excess of 450 pounds with big fat loss goals, people with small fat loss goals and everything in-between. I have experience working with athletes at the grade school, high school, and collegiate level, as well as the general population which makes up the majority of my clientele. My aspirations are to produce a knowledge base that is constantly being updated so that I can facilitate the delivery of a personal training product to my clients that can help them get the results they want and more than that to look long term and how they can make this new level of fitness and leanness sustainable. If I can retire knowing I made a huge dent in the obesity problem in the United States, I can look back at my career proudly and fondly. Treat everyone as an individual and use the latest exercise physiology, nutrition, and recovery research to constantly update each client's program. An individualized program with added nutrition advice that will be effective in gradually progressing you from where you are to where you want to be with room for client preferences. It may include resistance training or cardiovascular training and the amount and type will again, depend on the individual case.